The Whisky Show is the highlight of the whisky festival calendar. Fact. 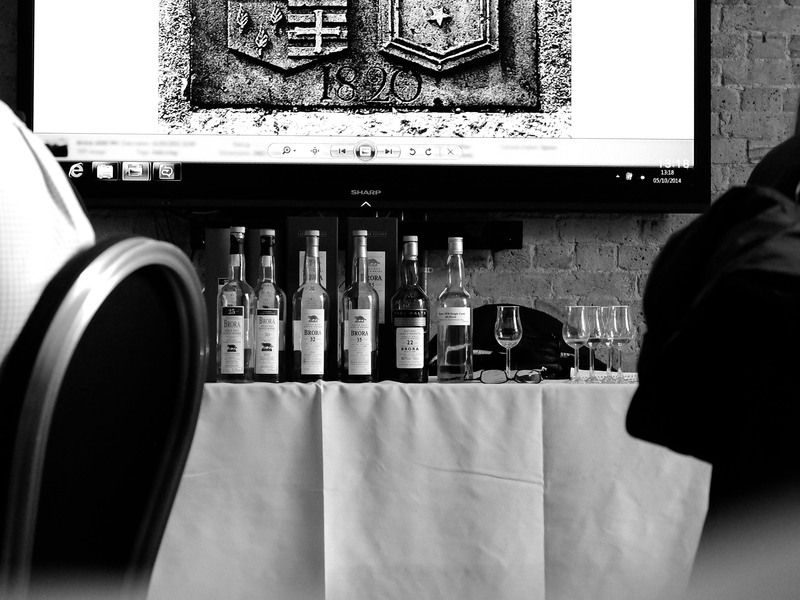 It is partly because of the range of whiskies on offer, having the right people to present those whiskies, and partly (or should that be predominately) due to the masterclasses on offer. One such class caught my eye this year – the opportunity to taste six Brora in the company of Colin Dunn, including the legendary 22 Rare Malt and an unreleased cask sample. 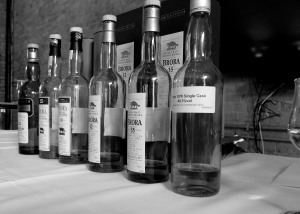 Without further pomp and circumstance I present a round up of an incredible 75 minutes of Brora-ness. Nose: Smoked hay, cinnamon, apples and light peat. It became quite lively and port like after time in the glass and when revisited later in the tasting had a real fudge like quality. 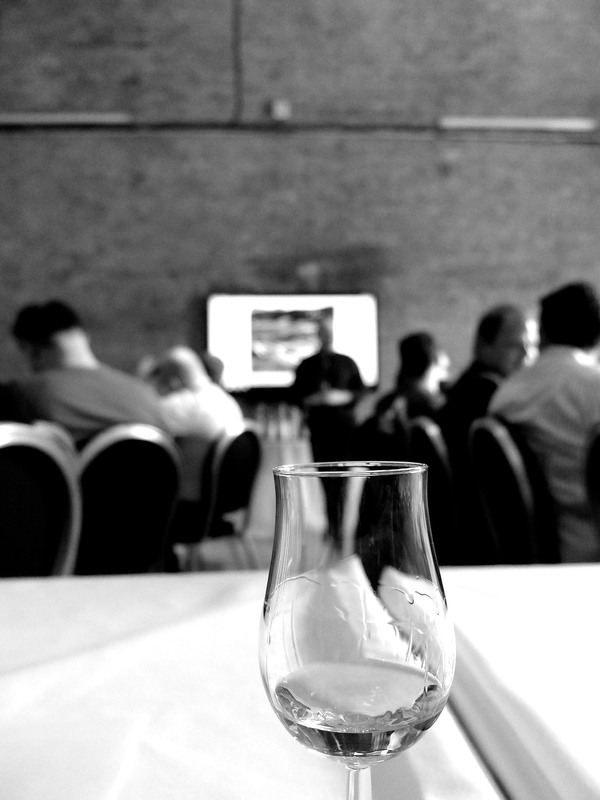 Palate: Lots of chilli heat among the earthy sweet peat. It was quite a floral dram reminding me of fresh rose petals. Finish: Huge. Very dry and savoury. This was the whisky that I was most excited about before the tasting. I’ve only ever tasted one Rare Malt before and that was the sensational Port Ellen, tasted in the old distillery courtyard with a bunch of Port Ellen mad fans. That whisky was incredible and worth the hype and price tag. This Brora was exactly the same – it certainly isn’t cheap at £3500, and while way outside my budget, I have to confess that it’s worth the money – a surreal experience and one that could have only been bettered by tasting it outdoors in the Northern Highlands of Scotland. Nose: Massive amounts of peat. This dram isn’t subtle in the slightest. It starts big and as the senses adjust it keeps giving new depths of peat, smoke, ash and tar. Insane. 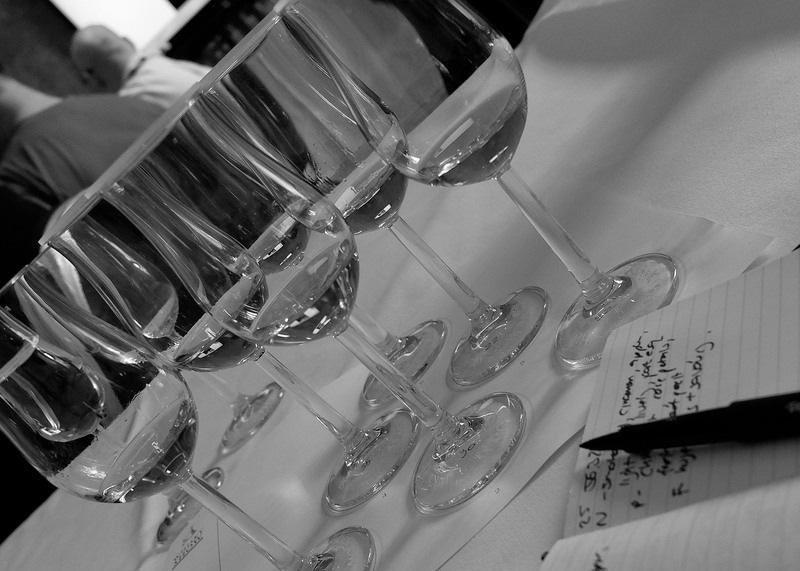 Palate: Incredibly it was very light to begin with, then bang, the peat comes at you. Full of coal smoke, nutmeg, charred steak. This is a dirty whisky, thick and mouth coating, and my word is it good. Finish: It would last for days. Very chewy. Nose: Very savoury. 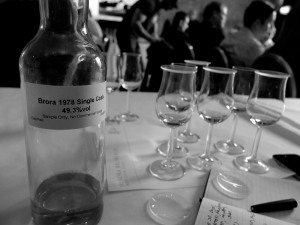 This is more of a breakfast Brora, the peat is hidden behind a sweet and floral whisky. Palate: Zingy and citrus like. The whisky still comes across very lightly and there is almost no peat present. Very earthy and full of black tea. Nose: What is really interesting about a tasting of this nature is the opportunity to taste these whiskies side by side. The nose on this spirit was very different to the 30. It was much drier and reminded me of being outdoors in the Scottish wilderness with aromas of heather and honeysuckle. Palate: Delectable peat smoke combined with black pepper and the outer red shell of aniseed balls. This was a really interesting offering, an unreleased lightly peated cask sample from Diageo’s dwindling stock. 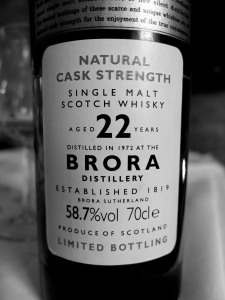 For me, it didn’t compare to the power and majesty of the 22 year old that we tried earlier in the tasting but it was fascinating to be able to sample an unreleased Brora, one that will never be tasted in this vein again as the cask is still maturing in Scotland. Nose: Autumnal woodlands – think earthiness, twigs and bracken. After some investigation the peat comes through although it is still quite shy. Palate: Ginger, tongue numbing and lively. Again the peat is subtle but it does make a late appearance to lift the palate and provide some depth to the spirit. Before this masterclass this was the benchmark Brora for me. It is one I’ve been luck enough to try on several occasions and most recently the weekend before The Whisky Show at The Midlands Whisky Festival in Stourbridge. I still love this whisky, but for me the Rare Malt has taken the place as the standard. That’s not to take anything away from this dram, it is incredible, but trying them side by side has opened up a whole new world! 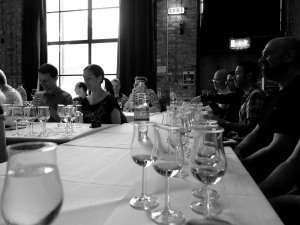 Nose: Huge, peaty and powerful. Faint hints of paint and varnish after some time in the glass. Palate: I could only describe this as a ‘Peat Wellington‘ – a core of peat, smoke and earthiness wrapped in tantisling amounts of beef, charred meat fat and earthiness. Moreish and fabulous. Finish: long, peaty and full of liquorice. You can see the joy on the left! And there ends a stunning masterclass. Many thanks to Colin for his insight into the whisky and for providing a tasting that allowed the spirit to shine. I’ve got a feeling that this one will be talked about for years. What’s next? A Port Ellen extraveganza? 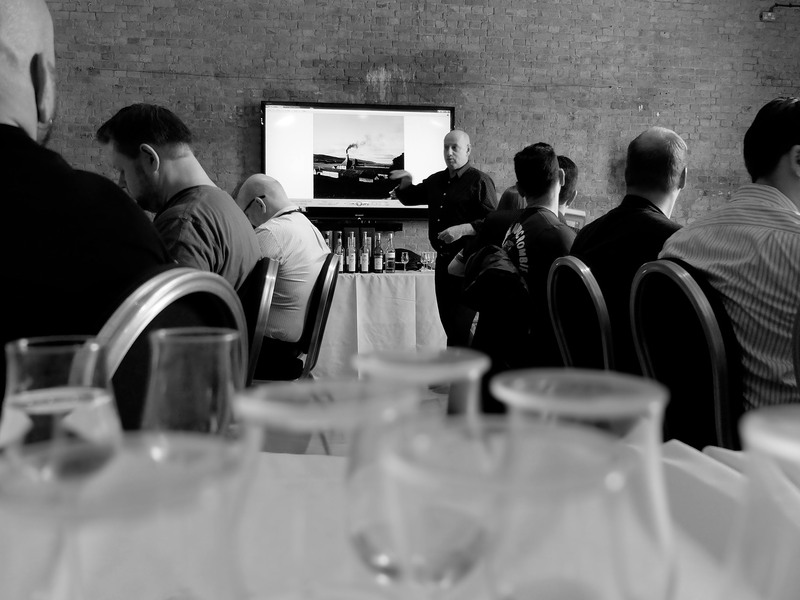 A Malt Mill masterclass?! Whatever it is, it will take a lot to beat this, but if it comes even half way there it will be worth attending. Fingers at the ready, and I’ll see you next year.